So here it is. 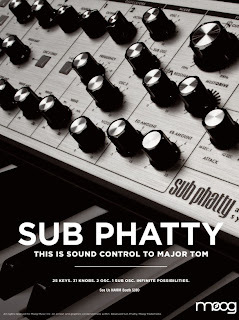 The front panel of the new Moog, the Sub Phatty. Looking at the image, we can see the new panel is a sort of mixture between the Voyager and Little Phatty, shedding the LED circled knobs and LED buttons, yet making up for them with a function-per-knob interface. 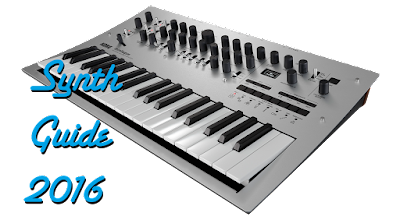 The obvious guess here is that this Moog dumps the Little Phatty's digital side, keeping only MIDI. 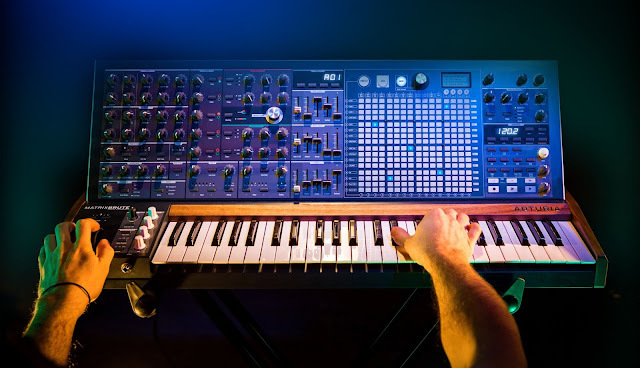 Without the digital brain, Moog should hopefully be able to reduce the price, hopefully bringing this down to the under $1000 level. The new features mentioned before in the promo video are present-- noise, multidrive, and sub oscillator. 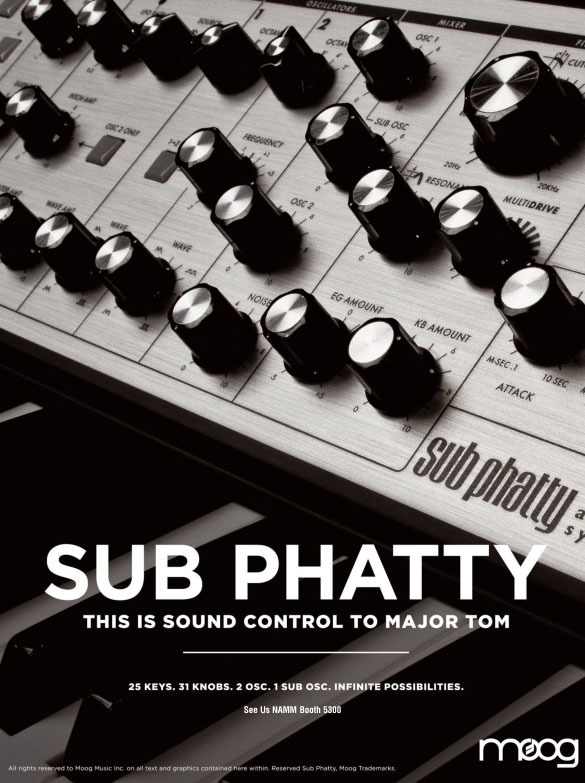 While the Sub Phatty doesn't seem to reinvent the wheel (and doesn't seem to feature any of Moog's mysterious new synthesis ideas,) the (hopefully) lower price point will bring in new customers. The suboscillator and multidrive might swing back owners of the previous Phatties or Voyager as buyers as well.